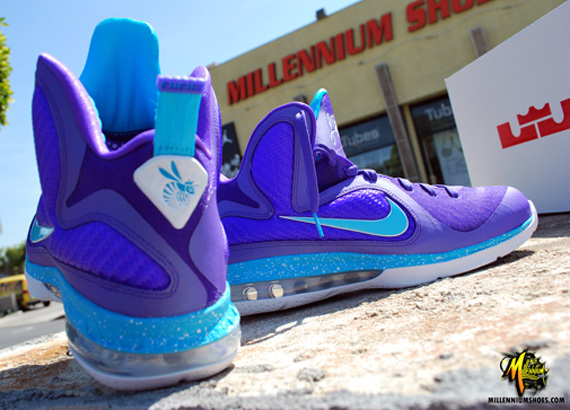 Today brings us yet another detailed look at one of the most anticipated LeBron releases this year in the "Summit Lake Hornets" LeBron 9. 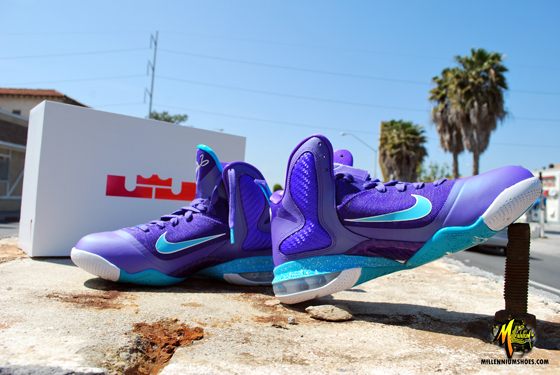 Inspired by LeBron James first-ever rec team; the Summit Lake Hornets, the LeBron 9 arrives covered completely in purple to create one of the most vibrant looks yet for LeBron's latest signature style. Turquoise completes the Summit Lake Hornets inspiration, taking care of the tongue liner, Swoosh, parts of the midsole and outsole down below. A white outsole tops them off, providing the perfect contrast down below. 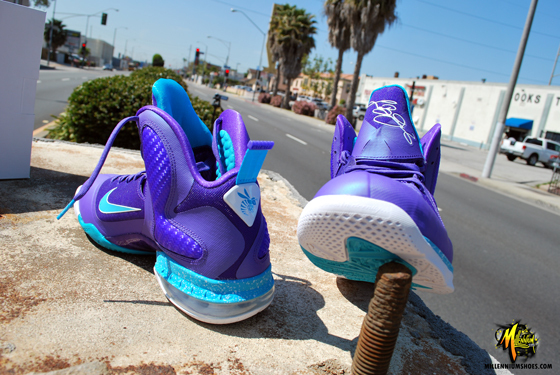 The "Summit Lake Hornets" Nike LeBron 9 is scheduled to release March 31st at Nike Basketball retailers nationwide.